Automations are becoming a must-have tool for businesses. Currently, 49% of all companies and 55% of B2B companies are automating at least some sales, customer support, and marketing tasks. Automated text messages, for example, are a popular adoption. In fact, many top brands use automated texting services to provide real-time, accurate notifications and information to customers who opt in—without increasing the burden on their teams. Read on to discover 5 innovative examples of automated text messages. While Delta uses SMS regularly to provide automatic flight updates to travellers, they have been known to use intriguing campaigns encouraging customers to opt in to their business texting program. One of Delta’s most innovative marketing campaigns launched long before most businesses took advantage of the channel. In April and June of 2008, frequent travelers were given a visual list of Delta’s destinations worldwide and invited to text a number with the name of a particular destination. After texting the number, participants received tips via automated text message about improving business practices in that particular destination. Along with the final tip, recipients were sent a link to the Delta mobile website. The entire process was automated, meaning that marketers didn’t need to spend any time on the project after creating content—besides answering further questions from engaged customers and admiring their growing SMS marketing list. Clean-eating meal kit company Methodology relies on text message for most of their customer service and support operations. While teams often use texting to answer customer queries, they take advantage of SMS marketing automation as often as possible. For example, their customer satisfaction team sets up campaigns that automatically send customized, pre-written notifications to customers as soon as an order is processed, letting them know when their delivery can be expected, and enabling them to click on a link for more details or connect with a customer service agent. They have reported that this automation shaves off hours each day for team members. Clearly, it’s not just bigger companies like Uber that benefit from automated texting service; Even startups can easily streamline their services with well-planned automations. Chic fashion brand Sézane prioritizes its online shopping experience for customers. To provide top-notch care, Sézane considers seamless communications a must-have and relies on business SMS to help. Their team uses automated text messaging to guide customers’ post-purchase journey. Once a package is confirmed, the recipient is updated with a shipping tracker through both email and text message. The recipient continues to receive updates via text as the package progresses closer to its final destination, including links which allow the customers to confirm delivery details. This type of practical automation is useful for any eCommerce business; it provides customers with individualized, useful communications without requiring extra manpower from team members. Today, transportation behemoth Uber uses in-app notifications for ride status. However, they started their business relying on automated text messages for timely notifications—and still use them for special occasions today. Their offshoot business Uber Eats also used to send notifications about new local meals available for delivery during lunch, including the added convenience of a link for easy ordering. Considering that Uber Eats is available in hundreds of cities around the world, real-time texted coupons and ride notifications based on location would have been impossible without automation. Companies struggling with scaling issues should consider similar automations to lighten the load on their marketing teams. Well-known for its innovative marketing campaigns, Warby Parker is one of the biggest direct-to-consumer (D2C) companies taking advantage of SMS marketing automation. While they use SMS regularly as a customer service channel, they took recruiting list members to a whole new level with their Halloween 2017 opt-in campaign. The premise was simple: customers could text in “BOO” to a special number, and an automated bot would ask questions and respond with a costume suggestion. While this strategy took a little more work on the back end, the superb branded experience was well worth it. 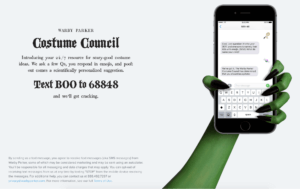 Businesses looking to spread brand awareness while also increasing their SMS marketing lists can take a note from Warby Parker; while such extravagant bots such as their Costume Council may be beyond your team’s bandwidth, quirky or interesting text-in campaigns have a wide-reaching impact. 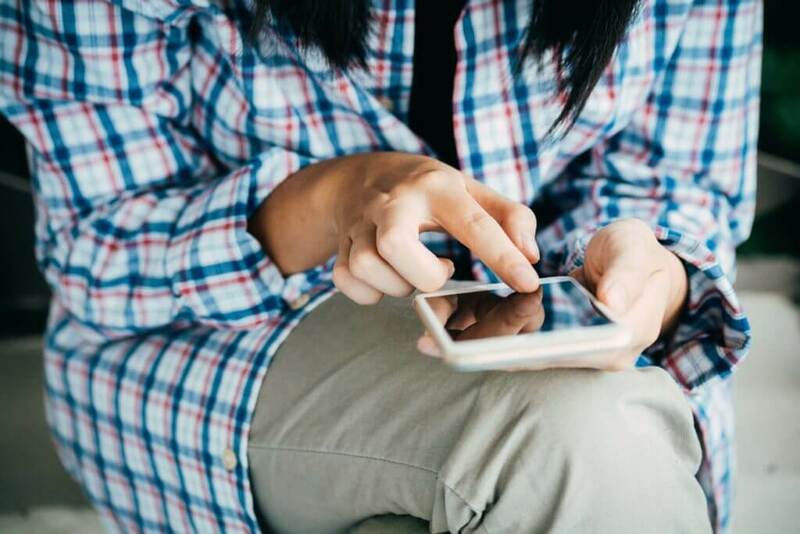 From innovative SMS sales campaigns to everyday customer support notifications, top brands are implementing automated texting services into many parts of their marketing, customer service, and operations strategies to improve customer satisfaction and boost brand awareness. Ready to start automating your business text messages? Try out our business text messaging platform today.